If you have any questions please refer to your regions Executive Director. POLK CITY, Fla. – The U.S. Elite and Junior Barefoot Water Ski Teams each earned overall team bronze medals, the U.S. Senior Barefoot Water Ski Team earned the overall team silver medal, and nine U.S. athletes combined to earn 19 individual medals in respective divisions and events at the 2014 Barefoot Water Ski World Championships, March 11-16, at Max Kirwan Lakes in Mulwala, Australia. For the fifth consecutive time, the biennial Elite (Open) Barefoot Water Ski World Championships was held simultaneously with the biennial Junior and Senior Barefoot Water Ski World Championships. The six-day event featured more than 130 athletes from 12 countries. The Elite Barefoot Worlds took place for the 19th time, while the Junior Barefoot Worlds was held for the 11th time and the Senior Barefoot Worlds commenced for the ninth time. Athletes competed for medals in slalom, tricks, jumping and overall, in addition to the coveted team titles. The wake slalom event consisted of athletes crossing the boat wake as many times as possible in two 15-second passes. Tricks competitors performed as many tricks as possible in two 15-second passes. Jumpers, who were each allowed three attempts, went for distance while leaping off an 18-inch ramp. Chandler Cargile (Valdosta, Ga.), Cody Ebbert (Utica, Pa.), Peter Fleck (Windermere, Fla.), Jerry Kanawyer (Byron, Calif.), Kailey Koehler (Wauconda, Ill.), Johnathan Martines (Greenfield Township, Pa.) and Keith St. Onge (Winter Haven, Fla.). The U.S. Elite Barefoot Water Ski Team earned the bronze medal, tallying 6,697.24 points in the 12-team field. Australia won the gold medal, scoring 8,262.70 points, and New Zealand earned the silver medal, scoring 7,104.83 points. St. Onge won gold medals in Men’s slalom (20.4 points) and jumping (87 feet/26.6 meters); Ebbert earned the bronze medal in Men’s tricks (8,380 points); and Koehler earned bronze medals in Women’s slalom (13.60 points) and overall (1,535 points). Martines placed 10th in men’s overall, 16th in slalom, 12th in tricks and 18th in jumping. He contributed 452.67 points toward the U.S. Team’s bronze-medal finish. Chandler Cargile (Valdosta, Ga.), Brody Meskers (Chetek, Wis.) and Will Rhea (Somerville, Tenn.). The U.S. Junior Water Ski Team earned the bronze medal, scoring 4,652.51 points in the six-team field. Australia won the gold medal, scoring 5,477.91 points, and New Zealand earned the silver medal, scoring 4,850.64 points. Cargile earned silver medals in Boys’ slalom (13.80 points), tricks (5,300 points) and overall (2,588 points); Meskers earned bronze medals in Boys’ slalom (12.70 points) and tricks (3,250 points); and Rhea earned the bronze medal in Boys’ jumping (61 feet/18.70 meters). Peter Fleck (Windermere, Fla.), Teri Jones (Monona, Wis.), Doug Jordan (Renton, Wash.) and Jerry Kanawyer (Byron, Calif.). The U.S. Senior Barefoot Water Ski earned the silver medal, scoring 4,422.53 points in the eight team field. Australia won the gold medal, tallying 5,573.60 points, and New Zealand earned the bronze medal, scoring 4,353.08 points. Fleck earned the silver medal in Men’s slalom (15.70 points) and bronze medals in jumping (70 feet/21.40 meters) and overall (2,139 points). Jones earned the silver medal in Women’s tricks (2,000 points) and bronze medals in slalom (6.70 points) and overall (2,054 points). U.S. independent competitor Betsy Gilman (Gainesville, Ga.) earned the silver medal in Women’s jumping (29 feet/8.70 meters) and the bronze medal in tricks (910 points). Lauren St. Onge (Winter Haven, Fla.) served as team manager for the Elite, Junior and Senior teams. Gary “Swampy” Bouchard (Winter Haven, Fla.) served as the coach of the Junior team. Lee Stone (Spicewood, Texas) served as coach of the U.S. Elite team. Scott Jones (Monona, Wis.) served as the coach of the Senior team. For complete results, visit http://www.USAWATERSKI.org. USA Water Ski was formed in 1939 as a non-profit organization promoting water skiing in the United States. USA Water Ski is affiliated with the International Waterski & Wakeboard Federation (world governing body) and is recognized by the United States Olympic Committee and Pan-American Sports Organization as the national governing body of organized water skiing in the United States. 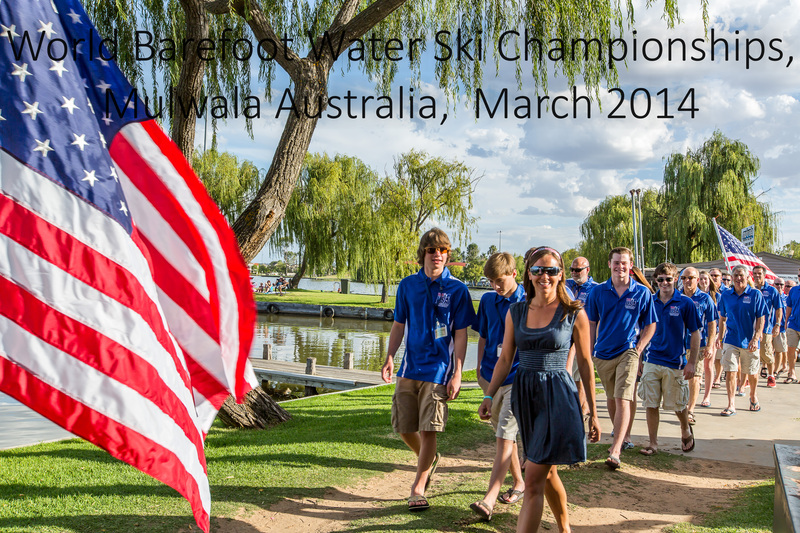 on our Web site, http://www.USAWATERSKI.org. 2014 USA Water Ski. All Rights Reserved.